Jeff and I recently returned from a trip to Ireland. It is a beautiful country and although we saw many things, we barely scratched the surface. Ireland is a country with a history going back thousands of years. America is like that as well, the difference being that in America a thousand years ago nothing really was made of stone. Buildings certainly were not, so they have not survived the years. 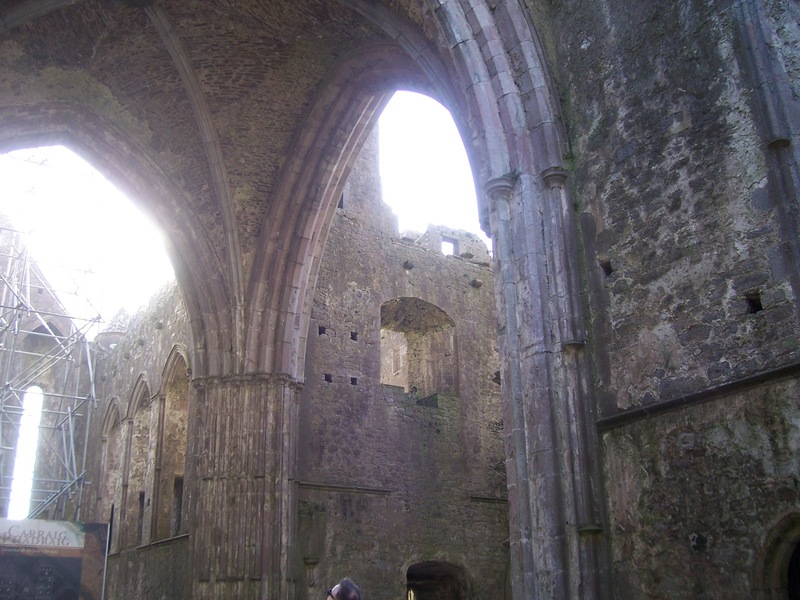 In Ireland there are churches and castles that have stood for hundreds of years. Some are still in use today. As we walked through many of these I couldn't help but wonder about the people who had passed through those sacred halls so many years ago. What was on their hearts? What petitions did they bring before God? What was their concept of God? As I thought about it I began to see that our concept of God and faith is in many ways shaped by our culture. People change, cultures and civilizations come and go. The things we consider appropriate and 'spiritual' change, sometimes from one generation to another. We always tend to think that our own way of seeing things is the right way. Surely this is the way God sees it, right? Think about the lives of the Israelites in captivity in Egypt. How different everything was! What about people who lived during the middle ages and the crusades? We couldn't begin to imagine life during those times. To read about it, things seem so uncivilized. What about two hundred years from now...what will people say and think about us? Will we seem strange and out of touch to them? Probably. How amazing is it to have a God who has presided over the course of all history and has never changed! His ways are perfect for all generations, and the power he displayed in scripture has not diminished with the passing of time. The God who spoke to me today is the God who called Moses to lead his people out of Egypt. He is the God who sent the flood - and then the rainbow. He is the God who took a killer of Christians like Saul and turned him into the greatest missionary of all time. The God who listened to my prayers this morning is the God who turned his face away from his Son as he took my sin to the cross. What have you anchored your life on today? If it is anything other than the solid rock of Jesus you have pitched your tent on shifting sand. Today consider the vastness of God. We are here but a moment in time. He will continue working out his plan for the world long after we are gone. He will be the same two thousand years from now as he is today. Today, the God of Abraham, Isaac and Jacob is waiting for you. He waits to fellowship with you, to hear you and to speak to you. He has placed you in this place and time with deliberation and purpose. Take your praises and petitions to him today, and as you do, remember that you are speaking to the Creator, the One who was here before the beginning. That is where your anchor should be grounded. He knows the plan. He knows YOU! He is not confused by the cultures of 2012. They are nothing to him. He wants your heart. Will you give it all to him today? Rest on the Rock. It will never move. It will never be shaken. It will never tip over or wash away in a storm. Thank him today for being your anchor, your solid rock. Trust him. He's proven over and over that we can take him at his word. He does not change. Not ever.